Regrowing your hair is not easy, but it is possible. Because I’ve done it myself, and I’ve also shown hundreds of other men and women how they can naturally regrow their hair too. In this article I’m going to share with you only what has actually been proven, either in scientific studies, or even better, through my own experiments, to work. But after reading this article you should have a good understanding of what you will need to do to stimulate regrowth. Hair loss is not natural, and therefore it can be reversed. Never listen to anyone who says that ‘pattern baldness’ is inevitable and only gets worse. It’s only true if you decide to do nothing about it. I’m going to talk about both in this article. You should also keep in mind that growing lost hair is a slow process. Just think about a new born baby and how long it takes for its hair to grow. It’s typically around 6 months. So, for you to start seeing really clear, visible results, you should expect to stick with these methods for at least 6 months. With that said, you can often see and feel good results in the quality of your hair and scalp within a few weeks. Your hair needs nutrients and minerals to grow. 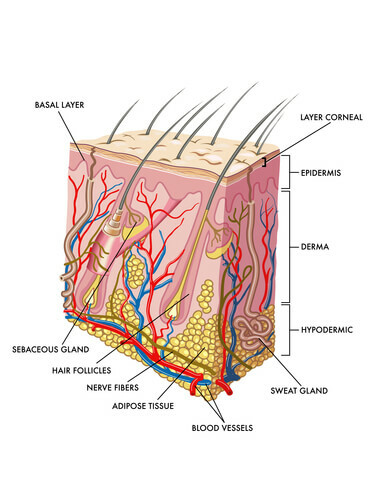 These are the fundamental building blocks of the hair follicle and without them, growth is stunted. Further, your body knows that having hair is not the most important thing for survival. So if there is a lack of nutrients or minerals in your body, your hair won’t be a priority. This is why, the first thing you should do to grow your lost hair is to make sure you have an absolute abundance of the specific building blocks of the hair. Both of these have very specific nutrient and minerals profiles which closely match those needed for hair follicle growth. 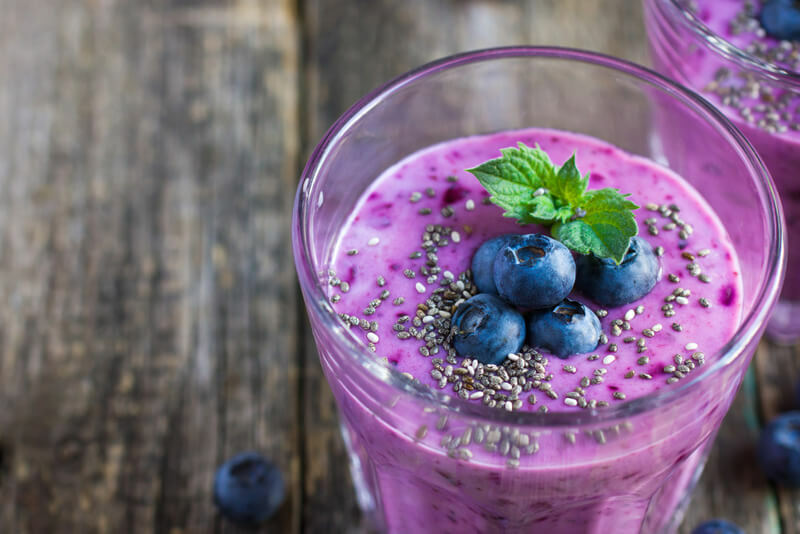 One of the quickest and most efficient ways to provide the raw material for new hair follicles is with my tailored berry smoothie. The more varieties of berries the better, since the variety means we have more chance of getting a complete nutritional profile of micronutrients. Due to depleted top soils, chemical fertilisers and selective breeding, it’s more likely than ever that we’re getting less nutrition from each berry, fruit or vegetable. So it’s important to vary the source as much as possible. For an additional special ingredient, add 1 tablespoon of chia seeds soaked overnight in coconut water with a probiotic capsule. You’ll find out later why the probiotic capsule is important. I’ve designed this smoothie over a year or so, improving it as I go to increase the hair growth potential of the ingredients. Let’s quickly look at each one. Berries provide abundant antioxidants, minerals, nutrients and enzymes. Berries were designed by nature to be eaten and we’ve evolved eating them, so they are incredibly easy for our body to digest and assimilate into the the raw building blocks for healthy growth. The colourful nature of the berry is a good indicator of it’s high antioxidant capacity. The banana is more for flavour and texture than anything else, but also provides long lasting energy throughout the day. Hemp and pea protein are one of the best sources of protein available to us, and since hair is made from keratin, which is a form of protein, it’s important to get a form of protein that’s easily digestible and useable by the body. Coconut oil provides a high quality form of fat, that also helps with the digestion of the other ingredients. It will also help with any itchy scalp or dandruff issues by reducing dryness in the scalp. Almond butter isn’t always necessary but provides high quality protein and fat that also tastes great. In a later section you’ll read why the probiotic capsule, which aids in a healthy bacterial balance is so important here. Next add almond milk or coconut water to your desired consistency. Most shop-bought almond milks don’t contain much almond, and instead contain fillers and preservatives. In this case choose coconut water. This provides healthy fats and minerals. Now let’s look at bone broth. 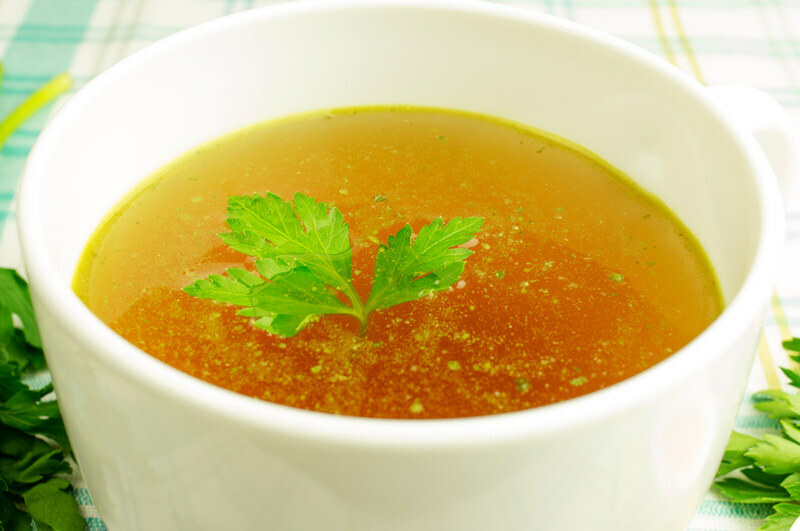 Bone broth is made by simmering bones from chicken, lamb, beef or fish in water for a long period of time. The water extracts many useful materials from the bones which can then be used directly by the body to build new hair follicles. The amino acids in bone broth and in hair are remarkably similar and bone broth also contains high amounts of collagen, which as you’ll find out in a later chapter is very important for new hair growth hair. I recommend making a large batch of homemade bone broth and then freezing small batches that you can have every day. When you change the oil in your car, do you leave the engine running? To clean the body, you must first stop the digestive process. Digestion takes a lot of energy and a lot of digestive fluids. So while digestion is taking place, it’s harder for the body to clean itself. All animals naturally fast (stop digestion) when ill, and most religions have fasting as some sort of practice. But for our purposes we can use fasting to help clean the body as press the ‘reset button’. All of these, in their own way help to trigger new hair, but I want to focus on just one right now: alkalising to inhibit 5AR. 5-alpha-reductase (5AR) is the enzyme that converts testosterone into DHT, and DHT is the hormone that widely known the cause hair loss. In a study in 1997 scientists discovered that the enzyme 5AR (specifically Type 2) needed acidic conditions to work properly. In alkaline conditions, the enzyme was inhibited, so less testosterone was converted into DHT, and less DHT went on to attack the hair follicles. Each food that we eat has a net acidic and alkaline affect on our body, because when the food is metabolised there is a kind of ‘metabolic ash’ that’s left over. Some foods are acidic (after metabolism) some are alkaline and some are neutral. 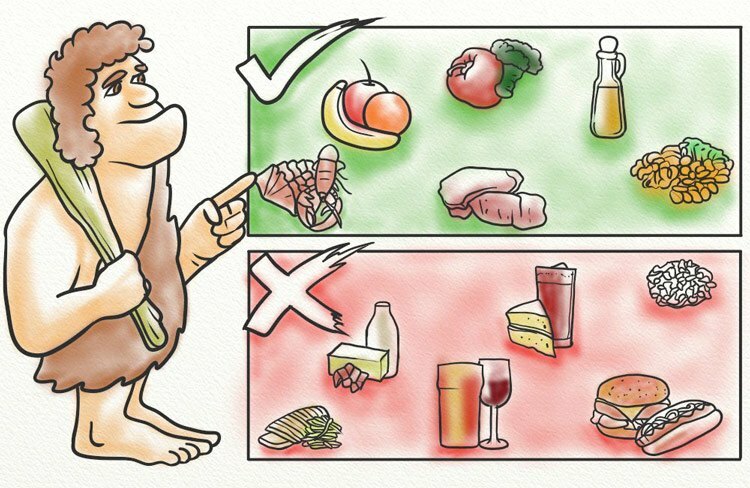 Our body has evolved eating certain kinds of foods. Eating these foods leaves the body with a certain ‘optimum pH.’ And when our body is at this pH we are healthy and cells and enzymes work like they are supposed to. However, our modern diets, with more grains, dairy and meats than we’ve evolved to eat is heavily weighted on the acidic side of the spectrum. And alkalising fruits, vegetables and spices make up a smaller and smaller part of our diet. Overall this means most people are too acidic than alkaline. This over-acidity causes the overactivity of the type-2-5-alpha-reducatse enzyme in the scalp meaning an excess of DHT right in the part of the scalp where hair loss first occurs, the crown and temples. I definitely recommend that you cut down on grains and dairy and increase your intake of fruits and vegetables, but I want to show you a way to right your acid/alkaline balance as quickly as possible. 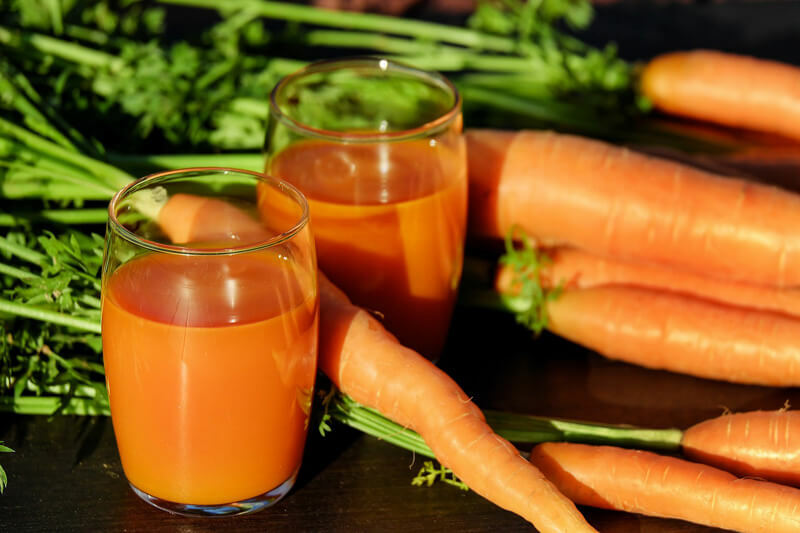 This is by using vegetable juicing to extract the alkalising part of the vegetable, the juice (and remove the fibre) so you alkalise your body as quickly as possible. The three best vegetables to use are carrots, celery and cucumber. In fact you can just use these three alone if you like. What I recommend, to alkalise your body as quickly as possible it to do a 5 day vegetable juice fast, where you drink only vegetable juice for a period of 5 days. No food whatsoever for 5 days. This is known as a detox and rapidly alkalises your body back to its natural pH, whilst helping to remove toxins and wastes that can also harm healthy hair. There are simple things we all do that damage the health of our hair. Typically they’re ‘modern comforts’ that make our day to day lives easier, but end up damaging your hair in the long term. Hot showers are one example. Hot water strips away the natural oils from the hair follicle and scalp leaving the hair brittle and the scalp dry. This makes it vulnerable to breakage, and the dry, inflamed and irritated scalp is more prone to reduced blood flow and therefore hair follicle miniaturization. Any ‘unnatural’ heat will damage the hair. That’s why it’s a good idea to stay away from heating appliances like dryers and straighteners. I also have a rule which I recommend you follow – If you wouldn’t put it in your mouth, don’t put it on your skin (or hair) – this goes for things like shampoos, moisturisers, deodorants, dyes etc. I created this rule because people think it’s okay to use chemical ridden shampoos, and yet they wouldn’t understand half the ingredients because they are all chemicals. The skin is not an impermeable barrier, the chemicals get through the skin and damage the body. One demonstration of this is the garlic experiment: Take a handful of peeled garlic and hold it against a large area of skin (such as your stomach.) Now cover the garlic with a hot, wet towel and leave for 10 minutes. What you’ll notice is that the garlic gets into your body and can be smelt on your breath later throughout the day. This demonstrates clearly how permeable the skin is. Putting any kind of chemicals on your hair or scalp will damage its long term health and aggravate hair loss. Why would you even bother when there are so many natural, nourishing ingredients you could use instead. So, let me summarise this section: Avoid unnatural heat and avoid chemicals and you’ll be giving your hair the best possible chance to grow back healthier than ever. In the section above I mentioned that I recommend you immediately stop using shop-bought shampoos. Well, you could just cut out using shampoos altogether. 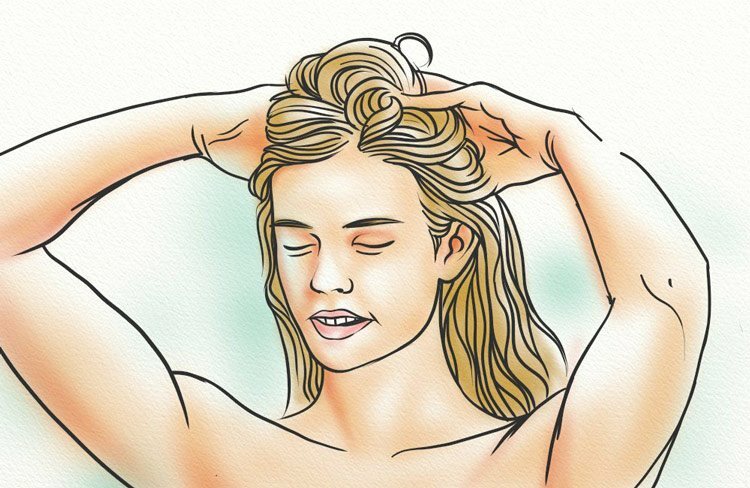 This is called “the no-poo method” and is becoming increasingly popular. This is a good option, but for many people it’s a step too far. The alternative is to make your own shampoos from all-natural ingredients. Then, make them even better by tweaking the ingredients to suit your hair type and hair goals. For example, you may have dry, brittle hair, and also suffer from hair loss. In which case you’ll want to add to the shampoo, for example, carrot seed oil to hydrate the hair and scalp and peppermint oil to stimulate hair growth. Let’s take a closer look at a recipe you can start using instead of commercial shampoos. Maple syrup is a potent antimicrobial. This makes it an excellent ingredient choice for your homemade, chemical-free shampoos. Combine all ingredients in the container of your choice. Mix well. Pour over wet hair, and massage into hair and scalp for 2-3 minutes. Rinse thoroughly. Maple syrup is delicious over pancakes or drizzled on sausage. 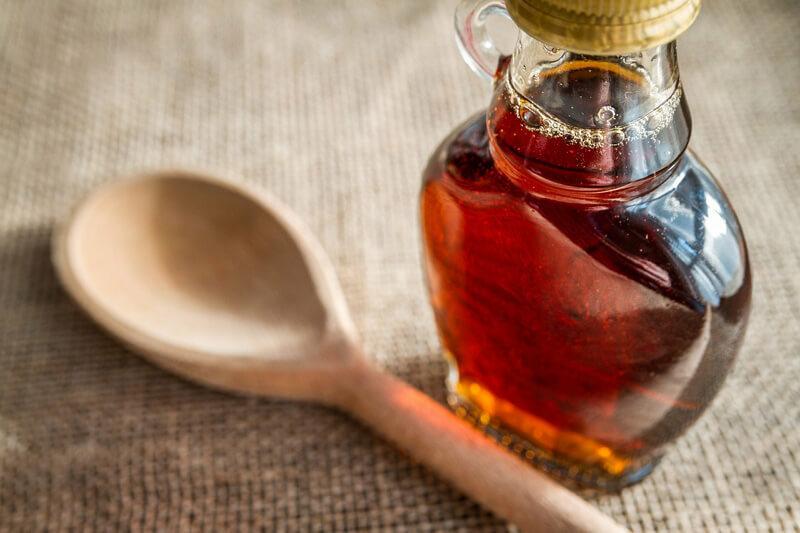 And, while that’s common knowledge, you may not know that maple syrup is actually a powerful antibacterial with soothing and nourishing properties. 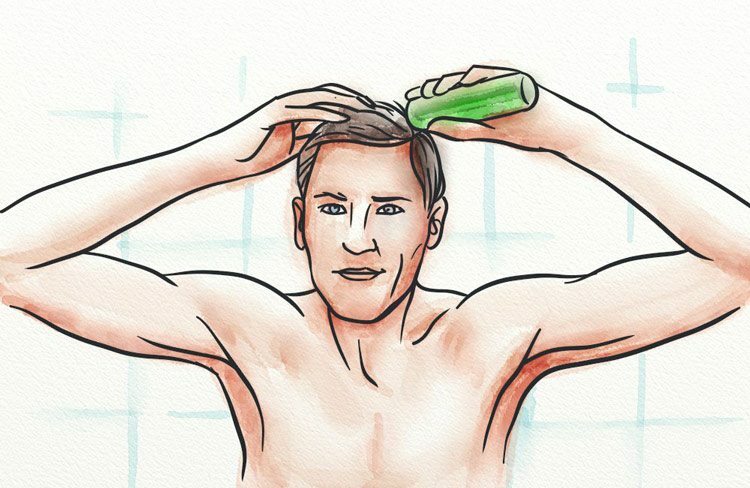 The benefits of this four-ingredient shampoo don’t stop there, though. The carrot seed essential oil is another surprising ingredient that detoxifies and stimulates the scalp. This is due to its high nutritional value, as well as its anti-fungal properties. Castor oil is just a great addition to any shampoo, hair mask, or hair growth serum. It works as the carrier in this recipe, hydrating and nourishing the scalp, while the liquid castile soap works to gently cleanse and remove scalp buildup. As mentioned above, homemade shampoos enable you to tweak the ingredients used. This makes it possible to use only the ingredients that suit your hair type and goals. Follow the formula. As outlined in my chemical-free shampoo guide, there are three essential components to any shampoo recipe. They are: 1) cleansing agent; 2) essential oil; and 3) carrier oil. Incorporate at least one of each category into your shampoo and you’ll be off to an excellent start. Less is more. 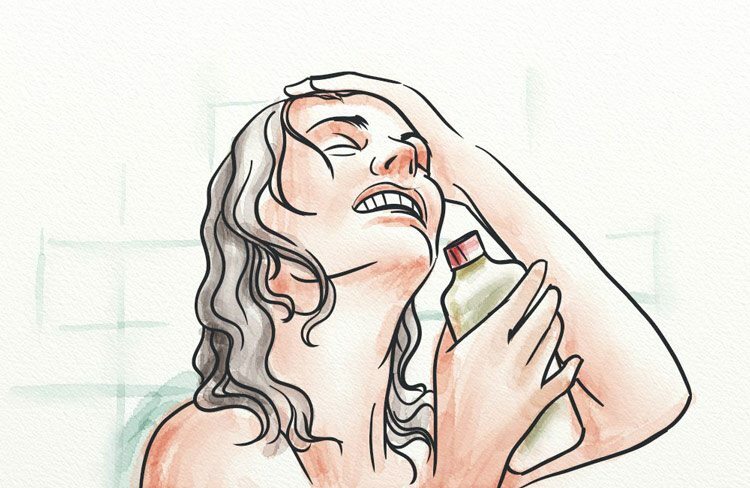 Store-bought shampoos have gotten us used to foaming, sudsy lathers. When you begin to make homemade, however, you’ll notice a dramatic decrease in lather volume. 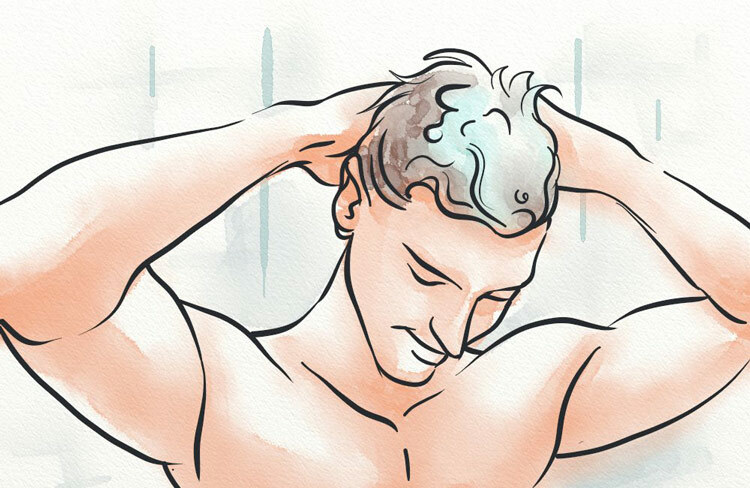 As long as you take the time to work the shampoo into your scalp and hair, there’s no need to aim for a high-volume of suds. Actually, less is better in the majority of cases. Essential oils are potent. Because direct contact with the skin can cause irritation and even chemical burns, I recommend you use 1 drop of essential oil per 5mL of carrier oil. This will provide the essential oils with enough dilution to protect your skin and scalp, but also enough potency to do what they do best. Now, you can begin to experiment to your heart’s content. This means utilizing different cleansing agents, essential oils, and carrier oils, dependent on what you’d like to achieve. For example, I recommend coconut oil to those who need a strong moisturizing and hydrating component to their shampoos. This is because coconut oil has been proven to penetrate deep into the hair shaft, protecting the hair from damage and water absorption. Source. 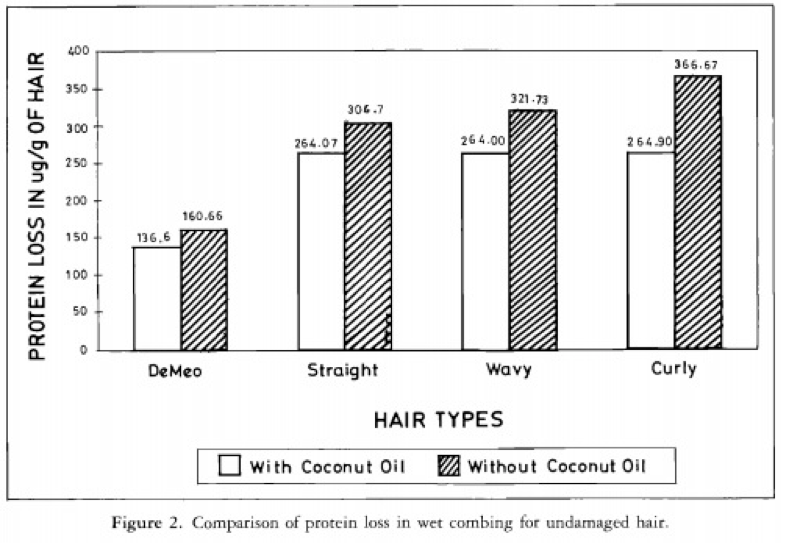 Coconut oil significantly reduced the protein loss associated with shampooing, ultimately leading to less hair loss and more hair growth. Another method you can use to increase the hair growing ability of your shampoos is to use herbal extracts to wash your hair with. 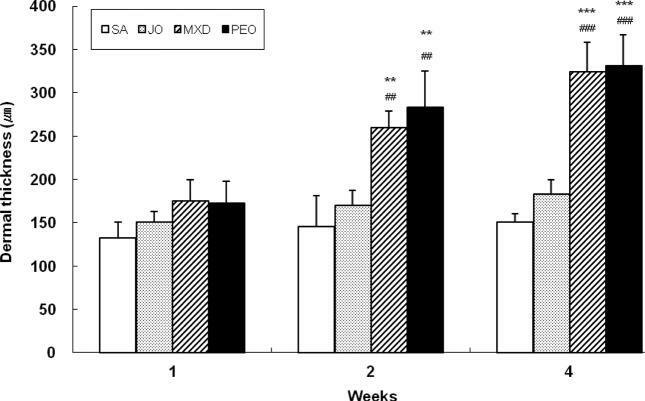 This study in 2013 showed that the hot water extract of Thuja Orientalis regrew the hair of shaved mice more effectively after 14 days than minoxidil. Source. Thuja Orientalis regrew hair on mice more quickly than the leading hair loss product in the world. You can also use the power of this plant extract in your shampoos and hair washes. In the next section I’m going to show you how you can start using more essential oils to trigger your hair growth at a faster rate. In fact there are 17 plant oils that have been proven to help hair grow back. Did you know that there are 17 essential oils I rate as having the potential to stimulate new hairs? These oils are a cheap, easy, and efficient way to kick-start growth naturally, and right now I want to introduce you to two of my favourites. This versatile oil is composed of a variety of hair-growth boosting nutrients – including essential fatty acids, antioxidants, and minerals such as magnesium and iron – making it a great choice for anyone looking to strengthen and grow back their hair. What really seals the deal for me, however, is that Pumpkin Seed Oil (PSO) has actually been proven to be an effective treatment method in men with Androgenetic Alopecia (AGA), also known as male-pattern baldness. In fact, PSO was shown to improve the percentage of mean hairs by 40%! That’s astounding, especially when you consider that the placebo group only saw an increase by 10%. Another bonus? Not only did hair counts increase, but so did thickness! This is clearly seen when you take a look at the images below. So, how can you go about adding PSO to your hair care routine? While this oil is certainly beneficial when applied topically, I strongly recommend you add it to your diet. As seen in the study, oral supplementation has some serious benefits. The great thing is that the supplementation possibilities are endless, making it a consistent and easy addition to your regular diet and health regimen. An effervescent essential oil that brings with it thoughts of candy canes and chewing gum, peppermint oil is actually an incredibly effective treatment method in the battle against hair loss. This soothing oil – adding a cool, mentholated feel when applied to the skin and scalp – is also moisturizing and cleansing. When used regularly, it can actually help to keep your hair follicles free and unclogged, while simultaneously keeping your skin moisturized. Still not sure about this essential oil? Let’s take a look at a 2014 study which compared peppermint oil’s hair-growing abiliites to that of saline (control), jojoba, and minoxidil. Mice were split into four groups, each one supplemented with only one of the above-mentioned solutions. At the end of the four-week study, it was clear that peppermint oil was the winner. Source. 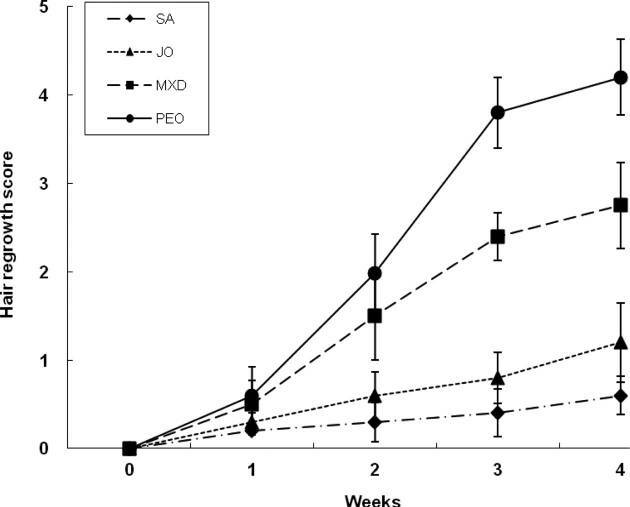 Peppermint oil showing the best increase in dermal thickness after 4 weeks, compared to minoxidil, jojoba oil and saline solution. Not only did peppermint oil show the most significant increase in dermal thickness, but it was also proven to have the highest follicle growth score among the four solutions. One thing to note is that peppermint oil didn’t just squeak by, barely making the cut as the top choice. Instead, it clearly outperformed the other three solutions by a significant amount. Both of the above methods will give the peppermint oil the ability to penetrate into the scalp. This is essential in order to boost blood circulation to the hair follicles, as well as cleanse and nourish. Even everyday oils such as olive oil can be useful to stimulate more hair. 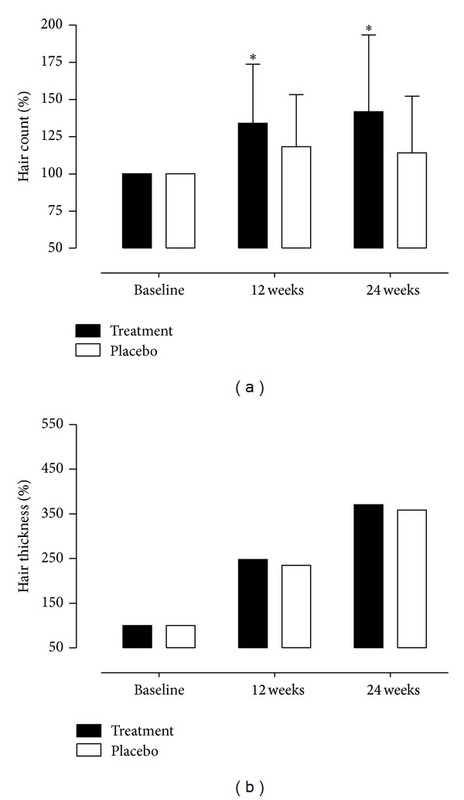 Oleuropein found in olive oil proved to be more effective than minoxidil at growing hair in shaved mice after 28 days. Source. 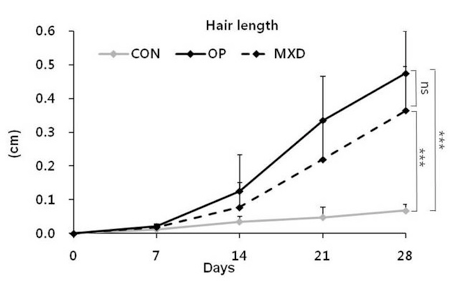 Average hair length of groups shaved mice when treated with a control, minoxidil and Oleuropein after 28 days. I’ve lived in Asia for 3 years and one of the reasons I believe that pattern hair loss is much less common over here than in Europe, U.S., Canada, etc. is that people here have a much healthier microbiome. The microbiome is the name given to the collection of bacterial cell inside the human body. Scientists beleive that bacterial cells outnumber human cells in the body, making us more bacteria than human. At any rate, it’s clear that the health of our microbiome is innately important in our own health. In the West however, we’re practically on a mission to kill all bacteria. There’s fluroide in the tap water – a chemical that’s there to kill bacteria. We use antibacteial hand washes, deodorants, body washes and shampoos – all designed to kill bacteria in the name of hygiene. We eat fruits and vegetables that have been sprayed and irradiated to kill bacteria and extend shelf-life. 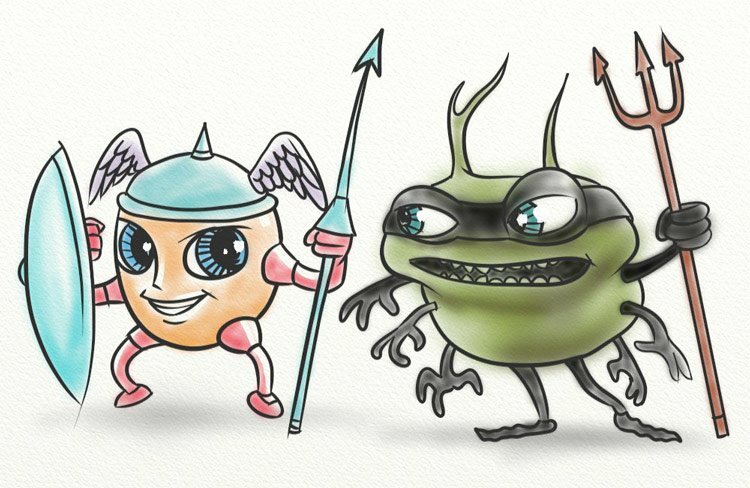 The problem is, we’re not only killing the bad bacteria we’re also killing the healthy and important bacteria that must thrive inside our body for us to thrive too. What happens is, without a healthy microbiome you become much more vulnerable to autoimmune problems. Autoimmune problems are when the body starts attacking itself, and you may know already that hair loss happens when our own hormone DHT, attacks our hair follicles, causing them to miniaturize. As the follicles become inflamed and irritated as a result of DHT sensitivity, the hair cycle shortens leading to baldness. To grow back lost hair, therefore, it’s crucially important to start healing your microbiome. Let’s look quickly at a few of the best ways to do this. What are some of the things you can do to proactively heal your microbiome? Eat local fresh fruit and veg from farmer’s markets that hasn’t been sprayed or irradiated. The healthiest forms of bacteria are found on the outside of fruit and veg when freshly picked and they are the most powerful form of probiotic that is available to us. Ideally pick and eat your own if possible. With these suggestions in mind I recommend starting right away to heal your microbiome. If you don’t, you’ll always be fighting a losing battle. No matter what essential oils or supplements you try, no of them will ever work because your body will always be fighting against you. The good news is, your overall health will also thrive by healing your microbiome, so the only side-effect of this method is glowing skin, boundless energy and a stronger immune system. In the section above I talked about how autoimmune responses can aggravate hair loss by increasing hair follicle sensitivity to DHT. In this section I’ll show you how some of the foods you might be eating could be triggering an equally harmful response making it almost impossible for you to get back your hair. Most people know about having fast allergic reactions to certain foods, the main ones being peanuts and shellfish. But most people aren’t aware that slow allergic reactions can also occur. There are certain foods and food groups which can cause these allergic reactions, and these allergies then go on to trigger autoimmune problems and inflammation – both of which lead to hair loss. 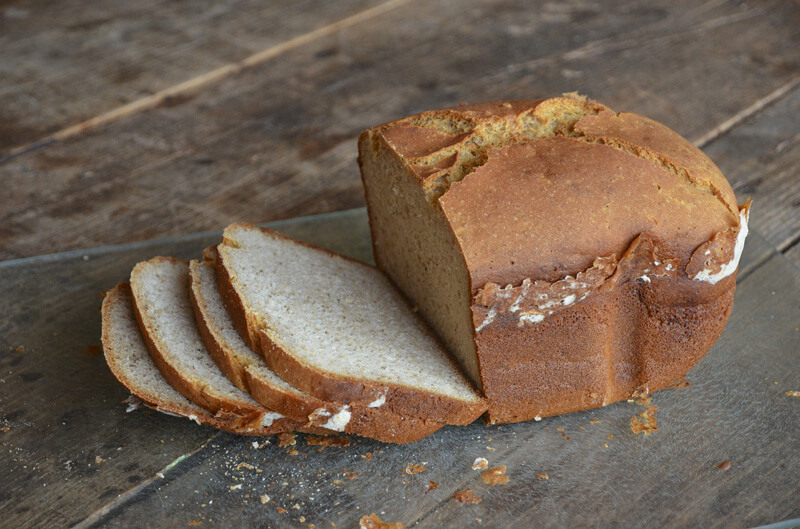 The most common of these is gluten, so lets take a closer look at that. The other foods are much less common allergies but it’s still worth considering them as a possible cause for allergies. Most people have no problems with them in their diet. The best way to tell if you have a food allergy is to do a 2 weeks allergy test. There are blood tests you can take, but I prefer this method because it teaches you to listen to the feedback your body is giving you about foods you are eating. For two weeks completely eliminate gluten from your diet. I recommend doing this for at least two weeks since it will take a few days for the side effects of your previous gluten diet to wear off. Notice how you feel in the second week of the test. Perhaps you have more energy, perhaps like me you notice less brain fog and clearer thinking. Then, after 2 weeks add gluten back into your diet with a couple of bagels , or a pizza and see how you feel. If you feel worse after eating the gluten product then it probably means you are having some kind of allergic reaction to it, and this could be contributing to hair loss problems by increasing your sensitivity to DHT and causing inflammation in the scalp. It’s only by removing the food groups that are causing allergic reactions that you’ll be able to fix the underlying causes of hair loss. Once this is done you can move on to the exciting part of directly stimulating your hair. But before doing that you should make sure you’re eating the right foods for your metabolic type. 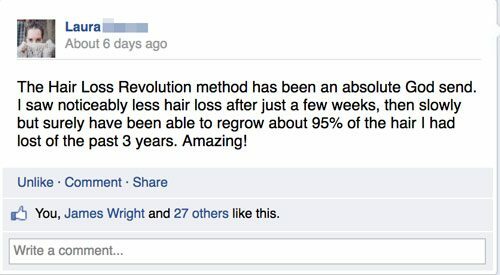 This is the last section before I show you how to reverse your hair loss directly. These first modules are here to fix the underlying causes of hair loss, without getting these bits right you’ll be fighting a losing battle. Every body is different. We all have different genes and we all respond to foods differently. This is why there is no universal ‘perfect diet’ and it’s also why there’s so much debate surrounding what is healthy. When is comes to reversing pattern baldness, having a diet that is tailored to fit you will allow your body and your hair health to flourish. For example, the best diet for an equatorial rice farmer, is not also the best diet for an eskimo. The main difference here is what’s called ‘metabolic type.’ This means the rate at which foods are metabolised by the body. If foods are metabolised too fast (which is what would happen if an eskimo ate rice and fruits) this would cause blood sugar spikes and other problems. If foods are metabolised too slowly (like the rice farmer eating whale blubber) foods don’t digest properly and can cause other health problems. My point here is that to give your hair every chance to be thick and healthy again you need to eat the right foods for your metabolic type. For now, let’s take a closer look at the two best ways to trigger healthy hair as quickly as possible now the underlying causes of hair loss have been fixed. There have been quite a few scientific studies that show just how effective a dermaroller can be to trigger new hairs to appear. In this section I’m going to give you a quick overview of these studies (so you can believe just how well this works) and then I’ll show you a simple method you can use to get started with the hair regrowth process. Firstly, what is a dermaroller? A dermaroller is a small hand held device with lots of tiny metals pins attached to it. As you roll it over your skin, the tiny metals pins prick the dermal layer. This stimulates blood flow (the body rushes blood to heal the tiny wound) as well as stimulating collagen proudction. The result is that the instead of the skin becoming hard and stiff (an environement that is impossible for hairs to grow in) the skin becomes flushed with blood, soft and supple. 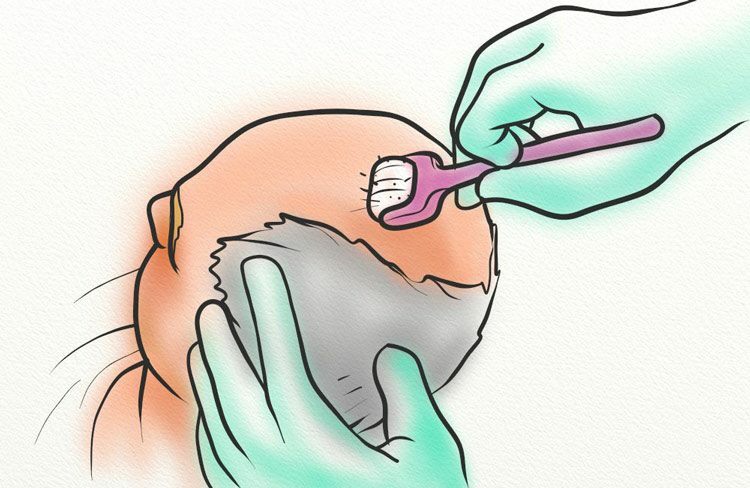 If you touch different parts of your scalp now you’ll notice that at the back of the head where the hair is thick, the skin is soft and elastic. 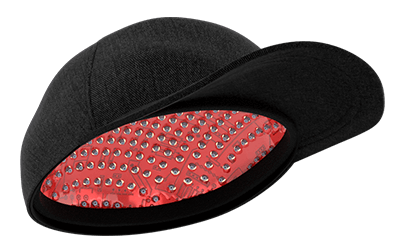 At the front along the crown and temples, the skin is less pliable, less elastic, thinner and tougher. My point here is that elastic, supple and blood engorged skin is the ultimate prerequisite for hair growth. The dermaroller helps return the skin to it’s natural state of suppleness. I recommend using a 0.5mm dermaroller to get started. Any smaller and there is little affect on the skin because the pin doesn’t penetrate deep enough. You can also try a larger size, for example in the study below a size of 1.5mm was used. The technique for using the dermaroller is to hold it lightly against the skin and move it across the skin in multiple directions (vertical, horizontal, and diagonal). In the study below minoxidil was used, however, as you will have seen in the earlier section there are essential oils that are more effective than minoxidil, and are completely natural so they have fewer if any side-effects. It’s clear that the microneedling (the technical term for using a dermaroller) achieved remarkably better results than the group that just received minoxidil. We can see a considerable amount of hair has appeared during the 12 week period that the experiment took place. Source. 2 patients clearly benefitting from the microneedling after 12 weeks. The mean hair count with the dermaroller group went from 226 up to 317 – that’s an increase of 91. The minoxidil group went from 201 up to 218 – that’s an increase of 17. 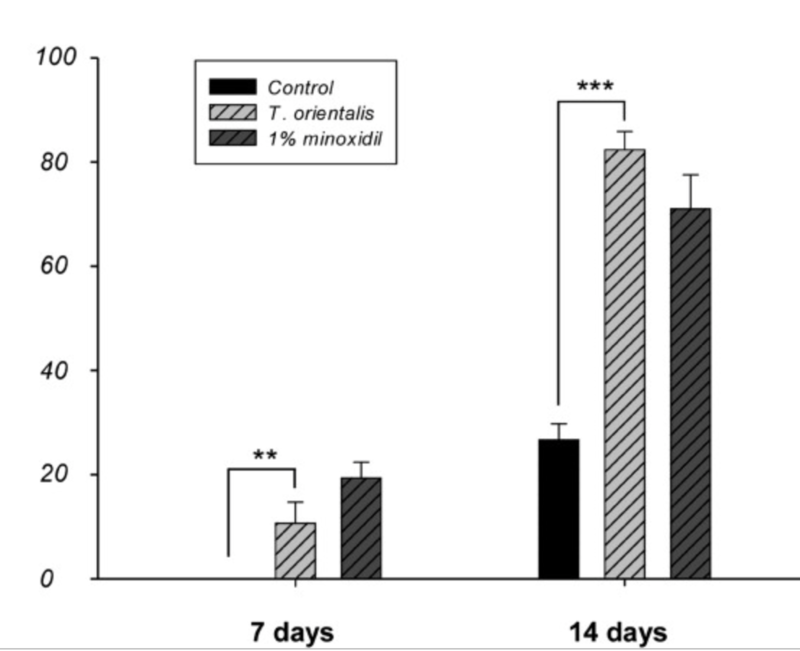 This shows that using a dermaroller is more than 5 times as effective as using minoxidil alone. Can you imagine how quickly your hair will be stimulated when you use the essential oil mixture which is proven to work more effectively than minoxidil? Not to mention that the study participants didn’t change any other factors in their lifestyle, and didn’t even correct the underlying causes of their hair loss, like I show you how to do in this article. Now that you learnt the basic approach to using a dermaroller to stimulate collagen production and increased blood flow, it’s time for one of the most powerful methods to you can use to naturally reverse hair loss. This method involves using very specific scalp exercises and massages to increase blood flow directly to the hair follicles. Blood flow is the most important factor in hair loss/growth. When the hair is starved of blood, the lack of oxygen and nutrients/minerals (essential for healthy hair) cause the hair follicle to wither and die. Blood flow to the hair follicles is incredibly important for the survival of the hair. The bottom line is that hair needs blood – and this is the fastest and most direct route to increasing blood to the hair. With everything else in place (the first parts of this article) you’ll really start to notice a difference as new hairs start to grow. The goal of the massages/exercises is to reduce fibrosis and calcification of the scalp, whilst increasing blood flow and elasticity. In 2012 a study in Hong Kong used massage (scientifically called detumescence) to stimulate new hair growth in the participants. 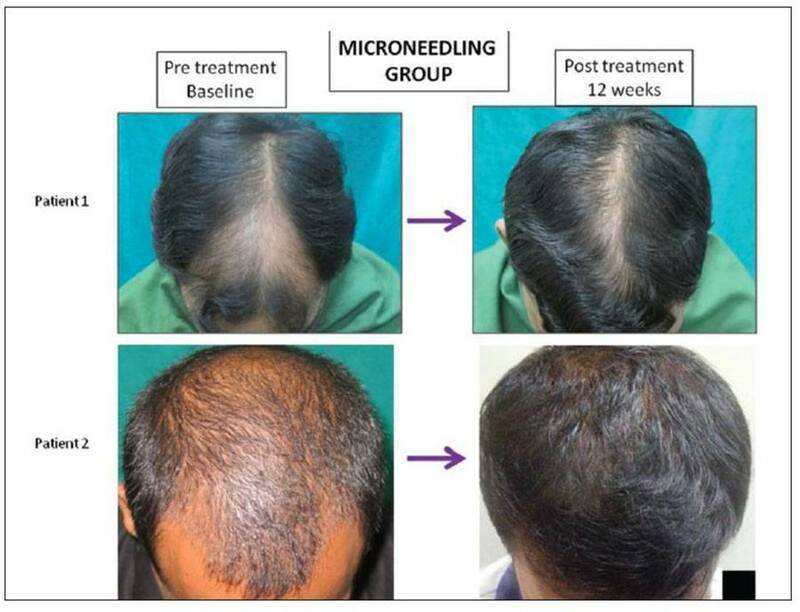 Participants where given scalp massages for twenty minutes per day for 300 days and the results were absolutely remarkable. 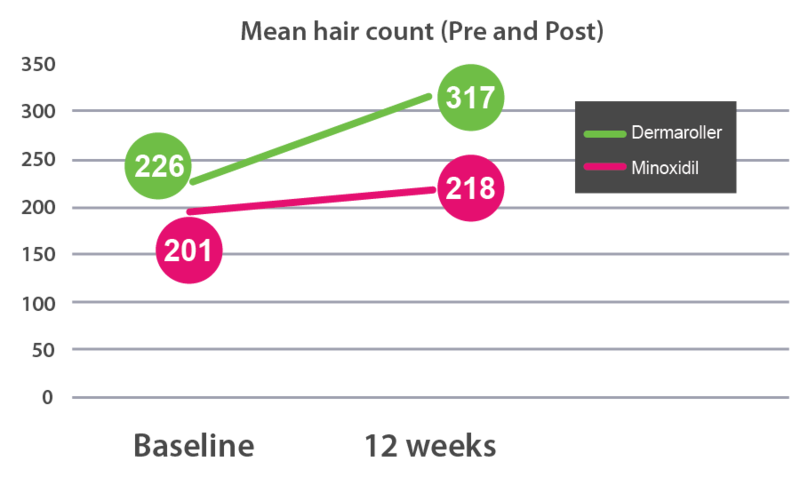 As you can see from the chart below, taken from the study, the % hair loss before and after the treatment has got significantly better. As you can see from the chart, these massages work very well to create new hair for men and women of all ages. I recommend doing ten minutes per day of the massages, as this should be enough to increase blood flow significantly. An even better option is to have someone else do them for you. One of the reasons that hair loss is more common for people with sedentary lifestyles is that sitting down rounds the shoulders and tightens the muscles at the back of the neck. 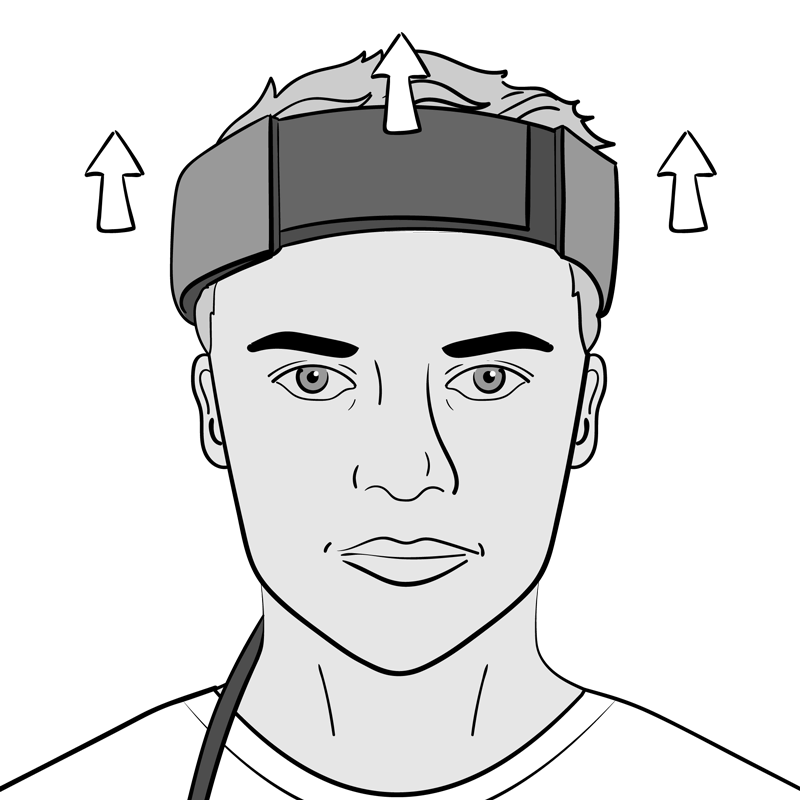 This position pulls the scalp down on to the cranium, restricting blood flow and increasing the likelihood of follicle miniaturization. This is why I recommend working at a standing desk – or even a walking desk, and taking regular walking if you spend a lot of the day sitting. 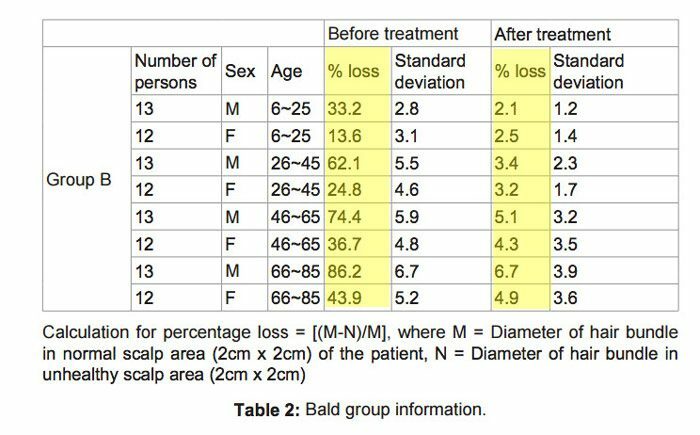 There is now a good amount of evidence that LLLT can help rebuild lost hair. Lasers in the range of 650 nm wavelength stimulate the scalp and the follicles themselves, with many participants noticing new hairs within a few months. No one is exactly sure about the mechanism through which LLLT causes new hairs to grow back, but the treatment itself is probably worth a try. The main advantage is that there are few/none reported side effects from using LLLT. Regrowing lost hair is a slow process – it’s much easier to make a few simple changes and keep your existing hair, but if you follow these steps, and do them consistently, then I’m very confident that you’ll start to see excellent results within a few months. If you have any questions for me please write them in the comment box below. Hi William, thank you so much for this amazing post. I’m so excited to try these steps out. I have been losing my hair for around 2 years now, but after reading your article now i have hope. I realize how bad my diet has really been (lots of processed foods with preservatives) and also lots of ‘acidic’ foods like you mention. I also can’t wait to try making my own shampoos with your recipes, this will surely help my hair. How long does it usually take to see results from these steps Will? Usually your scalp and hair will start to feel better after a month or so. You may notice less shedding and thicker growth. However sometimes, you may notice more shedding as the body gets rid of old unhealthy hair to replace it with healthy hair. Within 6 months you should expect to see a visible difference to the thickness and strength of your existing hair. Growing back lost hair can take longer but stick with it because it’s totally possible. Awesome article! Filled with great information and also has given me new hope in my battle against hair loss…. I noticed you discussed how using shampoos is a no no and also recommended making your own shampoo but you also said u can go completely without it as well I was wondering which you believe is the best decision… using no shampoo altogether and just cold water or making your own natural shampoo. Appreciate any feedback thank you! Hi Bob, it’s a personal decision, and also depends on how oily your scalp gets. Personally I wash my hair with our Grogenix Shampoo around once per week. That works great for me. If you feel you need to wash your hair more often than once per week then it might be a sign that your diet could do with an overhaul. Removing fried and processed foods is a good place to start. Hi there, are the scalp massages and exercises necessary or will this work without them? It’s totally possible to stabilise your hair loss without the massages, but to actually trigger regrowth is harder, therefore you need a more aggressive ‘hands-on’ approach. 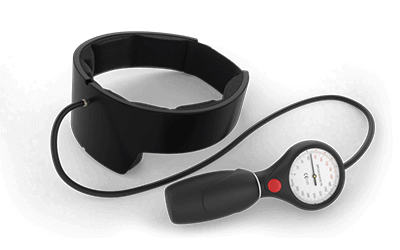 Since fibrosis and calcification have already set in and blood flow has been markedly decreased it takes something like the massages and exercises to restart the blood flow. So, yes it’s necessary to see regrowth. What advice would you give to someone who is young and has a thick head of hair but wants to avoid future male pattern baldness. What could I do now that would help my hairline never recede? This is a great question! Firstly I’ll start by saying that if you think you’re predisposed to baldness then it definitely makes sense to start doing something about it now. To keep your hair is much easier than to regrow it. So it’s better to make the changes now rather than wait until your hairline starts receding. The first thing is to reduce your sensitivity to DHT, I’ve talked about this a lot on my blog and in the Hair Equilibrium System. You’ll also want to start doing massages to keep the blood flow strong throughout your scalp. 5 minutes per day should be enough. 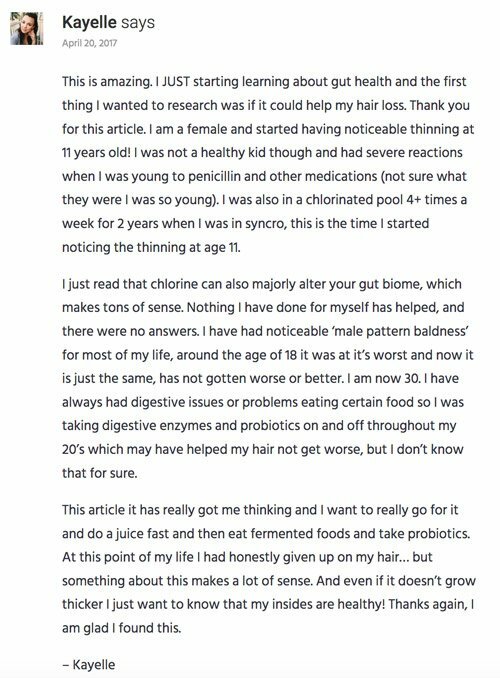 Thank you this is a really great article, the most useful on regrowing my hair that I’ve ever found. I have been losing my hair for 2 years now. I hate how it looks and I really lose my self-confidence. I am excited to get started with your method Will – god bless you. I want to start using peppermint oil on my scalp now, given that it looks conclusive to be more effective than minoxidil it will be interesting to try it. 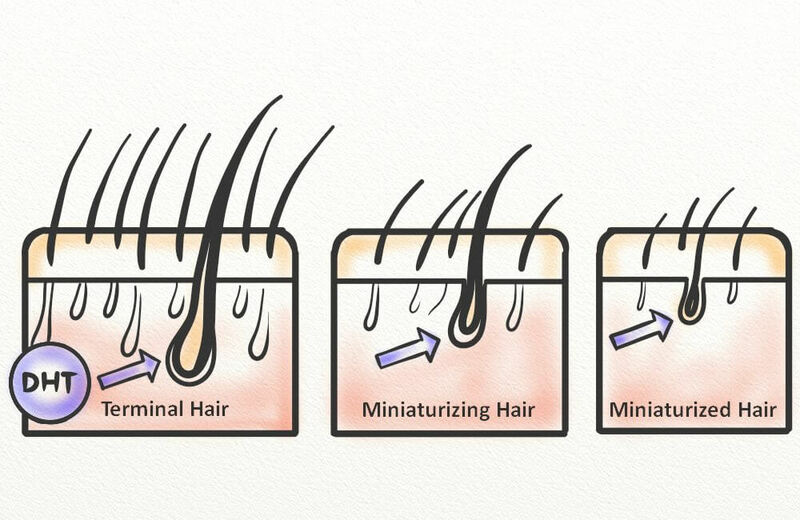 But should I stop using minoxidil altogether? Hi Kris, I would slowly transition on to peppermint oil (or even better, peppermint, magnesium and rosemary oil mixture) and away from minoxidil. I wouldn’t recommend switching 100% straight away as this might shock the hair and cause shedding, but I’d be confident in switching solutions over a couple of weeks. And remember, you’ll boost the effectiveness of either product by using a dermaroller once a week. Hi Will, how often should you drink the bone broth? This is such an amazing guide. I feel so lost without my beautiful hair from a few years ago, but I really think that all you’ve said here makes sense and I realize how much I’ve been doing wrong. My diet has always been with more acidic foods than alkaline, and I also think that I’ve probably damaged my microbiome with processed foods and antibiotics, amongst other things. I’m willing to give this a try and see what happens. Thanks for your comment Sue. Yes the diet can impact your hair, but to really trigger hair to regrow you’ll need to add in the dermaroller method and massages. If you’re serious about regrowth then I would recommend looking into my Hair Equilibrium System. This guide is 10000X more useful than anything else I’ve found on the internet about regrowing my hair. I wanted to ask,how often should i do the dermaroller -scalp exercices? Can i do them both in one day? For example in the morning do the massages and before bedtime do the dermaroller,thanks in advance! You should do the scalp exercises every single day. You can use the dermaroller once per week to start with. You basically can’t do the exercises and massages too much. But the dermaroller can be overused since the dermal layer needs time to repair completely. Hi will thanks for this amazing guide! How would you recommend applying the essential oils on the scalp? would over night be the best to give is a chance to fully absorb? I want to start using lavander, jojoba, and pepperment oil but im afraid to use them because when i do i notice more hair falling out. Hi Alexander. I would recommend using peppermint oil to start with. Mix it with magnesium oil (100ml magnesium oil + 10ml PEO) and spray it on your scalp before bed time. Gently massage it in. I have used tea tree oil for years back every bigger but unsuccessful. I would ask you to hear your thoughts about Nizoral. Hi Nikola, I don’t recommend Nizoral for certain reasons that I’ve written about here. Hi Will! Question for you. I was wondering if you have heard about black tea extract (theaflavins) and their effect on dht inhibition? I have your purchased your program and it is great. I have a few questions that I hope you answer. I have made my own hair growth elixir with pumpkin seed oil, Tea Tree oil, Rosemary oil and apple cider vinegar. Just wondering what is your thought of adding apple cider vinegar to my formula, I have read that it cleans your scalp and allows for better absorption. My other question is when I get my hair back what is your most important thing that I need to continue to do for the rest of my life? What is your maintenance program? Hi Aaron, it’s a good question, and one that deserves a longer answer (which I’ll write for the blog sometime – or you can jump into Hair Equilibrium. Firstly, maintaining hair is easier than regrowing new hair. For me now, having the right diet, avoiding the big hair loss triggers, and a few minutes of daily massages and exercises are enough to not lose any more hair. I don’t advocate the vegan diet since some animal proteins can be useful for hair growing nutrients and minerals. But minimising the most acidic foods is a good idea. I probably wouldn’t recommend whey protein, I suggest choosing hemp or pea protein instead. I’m 21 and my hair started receding 3 years ago. The area where it’s receding at is not completely bald the hair have just thinned out. How long would it take to thicken it back out and become healthier using Hair Equilibrium? That kind of early-stage thinning is the easiest to reverse. I’d say after 3 months using Hair Equilibrium you’d see some progress (of course every case is different.) I would act now though because the more it thins out the harder it becomes to grow back to full thickness. Hello.. I had an ectopic pregnancy in june , my doc gave me methotrexate injection 2 times.after that from the last 2 months i have huge hair loss.almost 70%i lost. And still its same i m losing daily. Plz suggest me something. Thanks for your support Maria, we really appreciate it. I’m glad this guide has provided some useful information for you. Just make sure you put what you learn into practice to see some real results for yourself. Hi..Thanks a lot for your genorisity. am a girl and my hair is very dry.. how can it be repair and what cream can i apply to make it shine without making the hair looking greasy? Hi Deepshika, if your hair is dry this may be more about your diet than anything else. Topical treatments may help in the short term, but you don’t want to be applying masks and creams forever. Can you get more healthy oils into your diet such as as coconut oil, fish oils, avocados etc? I’ve been doing all the things you listed (diet, massage, derma rolling, avoiding shampoos and hot showers etc) for the last 6 months but I noticed an increase loss of hair and my scalp feels itchy and dry. Since I stopped using my shampoo my hair loss increased and I’ve been losing a bit more than 100 hairs a day, especially if I’m washing and combing my hair. I can’t really tell if my hair got thinner or thicker but it’s late summer right now and I read something about seasonal hair loss and it’s maybe related to that. Do you have any advice for me? Should I start using shampoo again? Hi Daora, this is unfortunate, sorry that you’re not seeing good results. Seasonal hair loss can play a role. Vitamin D deficiency can be important. Have you tried a vitamin D supplement? I would also recommend combining it with vitamin K2. Let me know how it goes. 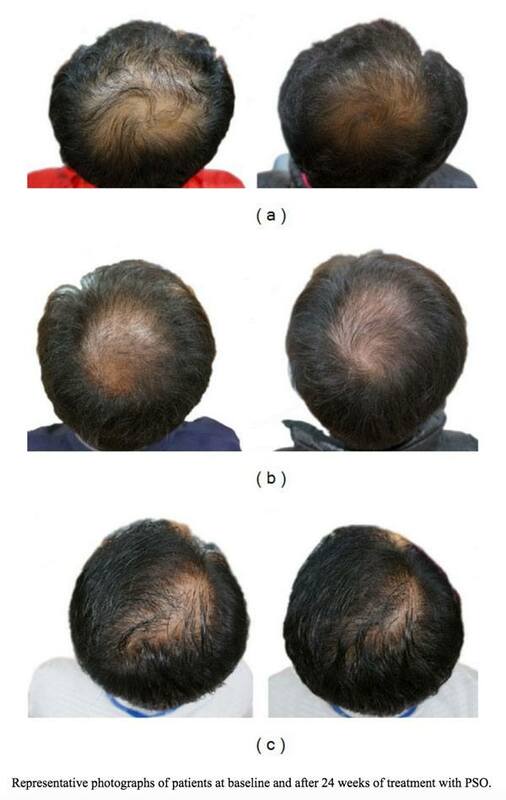 Btw, are you talking about male or female pattern hair loss? It’s the male pattern hair loss. Well I’m trying to stay outside for at least 30 minutes a day to get enough Vitamin D. And Vitamin K shouldn’t be a problem. i’m eating lots of fermented foods like kefir, grass fed butter, natto or sauerkraut. At least once a day. But isn’t it normal to lose around 100 hairs a day? Anywhere from 50 – 150 is normal depending on the thickness of your hair. Everyone keeps telling me that losing up to 100 hairs a day is normal. But I guess that’s only for people with full hair. My hair is already very thin and I’ve lost probably half of my original hair. So losing around 100 hairs a day for me is a clear sign of shedding right? And I’ve been searching for it but I can’t find an answer. How long will it take to stop your shedding after the problem is solved? I’m having a pretty healthy lifestyle now but one problem isn’t still solved. A few weeks ago I noticed a lot of flakes on my hair. I can see a few red pimples on my scalp and it’s very itchy. Any suggestions? It seems the issue is not that your hair is thin, but that you simply aren’t replacing the hairs you shed. The hairs you shed are in telogen phase, but there should be many more follicles (about 90% of follicles on the scalp) in anagen phase (active growth) at all times. If 100 hairs per day of shedding is leading to thinning, then it sounds as if your follicles are not cycling properly. How long it will take for shedding to stop will depend on many factors. 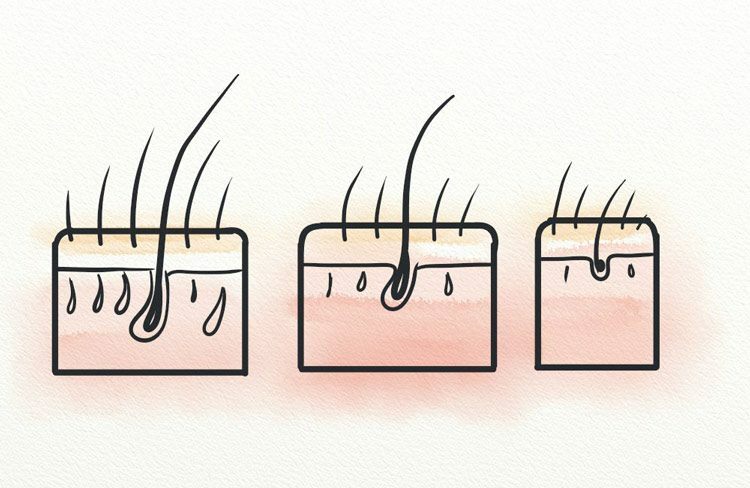 At 100 hairs per day, it’s unlikely that you’ll see a decrease in the amount of hairs. But you’ll likely see an increase in thickness in about 6 months to one year of solving the problem. I am 21 years old. My father is pretty much bald. My oldest brother is 31 and hes losing hair pretty bad. He also washes his hair every single day and blowdrys it everyday. Other brother is 30, but hes got a good head of hair, doesnt was his hair everyday and never blowdrys. Anyways, i’m 21 and i’ve got a perfect head of hair. No hair loss at all. However, im scared about losing it eventually. For the past two years, i’ve stopped blowdrying it. Now, i wash my hair 2 times a week with natural shampoo and conditioner, no chemicals at all. I dont put any products on my hair, except from coconut oil and shea butter. Never blow dry it. I’ve noticed my hair has gotten thicker..so i guess thats good. To the important stuff now. I have two ways to prevent any real hairloss in the future. After doing a lot of research, these are some great natural blockers. However i am stuck. Just like many, I am scared about the sides of finasteride. However i have a great vegan diet, and already take herbs for libido, blood flow etc. I also know about how unlikely it is to suffer from sides. What are your thoughts on this? How common are they? If i go into it with a positive mindset, could that not greatly reduce the risk of sides? Nocebo? Or should i go down the natural route? Potentially reduce the risk of any sides and still manage to keep my hair somewhat? This may sound like a silly question..but do the plants and herbs i mentioned even help with hairloss? Anyways im rambling now. Hopefully you get the gist of what im trying to ask. We strongly recommend natural methods over finasteride and minoxidil. Why? Because many have been proven to be just as effective (and sometimes even more so). You can learn more about the various natural blockers you listed by searching the site. Within the posts, you’ll find research that says as much. You may find Will’s Scalp Secrets guide to helpful in guiding your next steps. Can Australian purchase your ‘Hair Equilibrium’ kit online and be delivered here? As Hair Equilibrium is a digital product, it will be delivered to your email inbox. hi im still a teenage girl and i noticed my hair getting thinner and thinner everyday. i think its about a month since this started and my hair reduced more than half of it. what is your advice to this? im planning on buying an aloe shampoo and or conditioner and or hair tonic and i read its packaging and it doesn’t have any sulfate. do you think its good enough ? Any idea how can i stop this? i do nothing and almost 10 fall out and if youll count it everyday i think its about 100 a day. Pls help thanks!! You talk about specific hair messages and excersises but you don’t explain how to do them is it just rubbing your scalp? Hi Kathy, there are more instructions about the specific massages and exercises that work in my Hair Equilibrium program. Have have a series of videos where we demonstrate exactly how to do them right. What is your take on products like lasercombs? and if you were to support it how would you incorporate it to the weekly scheme? It’s important to remember that treating the cause of hair loss is likely a lifelong journey. This is especially true for Androgenetic Alopecia. In this case, you may be able to reduce your current routine. However, Will still recommends following the basics of the routine (including massages, dermastamping, and natural hair products. These can help to prevent loss from reoccurring. That sounds a lot like folliculitis, which can be caused by a fungal/yeast infection. Thanks for catching that mistake! We’ve updated the article to accurately portray the study’s information. What do you think about apply vicks vapour rub on your scalp? its most ingredients are helpful to stimulate blood flow to the scalp and apparently helps with dandruff as well. I wouldn’t recommend it, just use the Scalp Elixir. That would be much more effective! I would like to start drinking in the morning the smoothie you designed in the Hair Equilibrium program, but am not sure about the amount of each ingredient that I should use. There’s actually no specific measurements for the in-Program recipe. 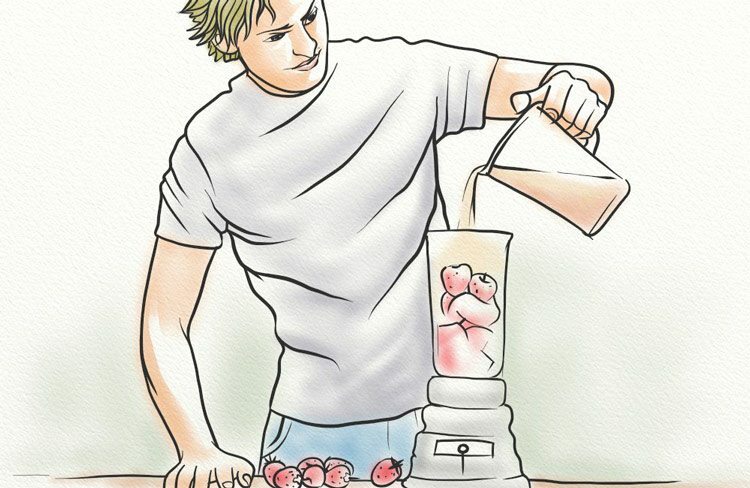 Will recommends mixing the ingredients to your own liking, and tweaking as you go along. Since my hair sheds while shampooing/rinsing, I’m concerned massaging will loosen up weak hairs and result in even more loss than not doing massage. Are there studies that refute this fear? Or should I expect hairs to come loose from massage, but stronger thicker ones to re-grow in their place? Hi Gary, there is a point to your concern. However the way we do the massage shouldn’t cause too much friction or drag against the hair itself. Any loose hair probably would have come out within the next few days anyway. If you want to get started with the massages but are still worried then I recommend starting at the back of the head (where most people don’t go bald) and working your way towards the front. Starting at the back and working forward over a period of months should reduce overall scalp tension and help strengthen the hair so you can eventually massage the front as well. Can somebody explain how the massage is done? 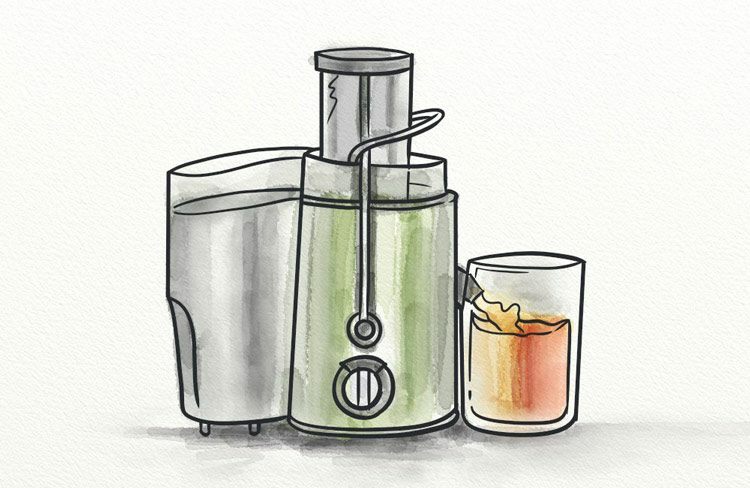 I have read several articles and blog posts, but none of them explains the technique. You’re essentially just using your fingertips to stimulate the areas, and it should take about 10 minutes per day to complete. Hi Will. So, dermaroller is best way, right? Like those participants who didn´t even change their lifestyle… How many times a week? Hi Bruno, microneedling is an important part of the hair care regime. Once per week is a good frequency to start with. I m 22 and im balding from 3 years. before 2months i started using onion juice ,derma roller, pumpkin seed oil, coconut oil, lavender oil, pepprmint oil. also im taking saw palmeto and biotin tablets . i making head stands and nail rubbing but stil i can not find any results any… not a single new hair not a reduction of hairfall. please give me advice what to do . if you want i can send you photos to see my case. 2 months isn’t a long time to see new growth, I would stick with whatever you’re doing for longer. I would also make sure you are optimising your nutrition as much as you can. For example, you might find you have a sensitivity to gluten which you didn’t know about, which would lead to inflammation and make your hair more sensitive you fall out. If you did have such a sensitivity then no matter what topical treatments you used you’d still have a very tough time making progress. Have you seen a doctor and had any blood tests run? Do you make the elixir and/or the shampoo without caffeine? I am prone to anxiety and find that it wanes significantly when I avoid caffeine. However, you may find that the caffeine in the products doesn’t trigger your symptoms, and we offer a 60-day money-back guarantee if you do decide to try. Many thanks for this article – very helpful and makes a lot of sense! I have started following all of the steps and have ordered the Grogenix products. However, I have a question – I have been using minoxidil for the last 10 years, twice a day. Now I am using the Grogenix Elixir before going to bed, but I kept on using minoxidil in the morning (so now using only half of my regular dose of minoxidil). Do you recommend stopping minoxidil altogether? I am very concerned, as I know that when you stop minoxidil, all hairs that were “saved” because of minoxidil, eventually fall out. Is it true and how do I avoid losing all of these hairs? I’m not a doctor, and this is just my opinion, but I would probably aim for a slow transition over. Whilst carefully monitoring your hair and any kind of shedding. A few weeks to a couple of months of transition. I’ve been applying rosemary and peppermint essential oils for almost 4 months (15 weeks), and I’m not seeing any improvement. My hair loss doesn’t follow the typical Male Pattern Baldness; it affect my whole scalp except the back. It happened quite fast. Maybe I’m applying oils in an ineffective way? Hello Kevin, a good first move would be to get a diagnosis on the type of hair loss you have. If it’s not MPB then this will affect what treatments you use. Sorry to hear that it isn’t working for you. The truth is, topical treatments just by themselves are quite low impact. You are basically trying to increase blood flow by applying a liquid to your scalp. As you can imagine, this isn’t always effective. Have you tried combining a topical with microneedling? I’m planning to add natural Bee Pollen and Royal jelly into my smoothie as part my morning diet.. what do you think of it ? Will has positive impact on hair growth? I don’t know of any evidence directly that shows it would be good for the hair, but since both ingredients you mentioned seem to be great for overall health they might have an indirect positive affect on the hair. I would keep them in there. Reducing inflammation which is one of the main drivers of hair loss could be one of the ways they help. – sometimes in you book and webpage you mention the derma roller or stamp should only be used where hair loss occurs, while on another place you said the derma roller or stamp should be used on the entire head. Which one is true? Please note I am experiencing general thinning on top. – I used to use Minoxidil 5% in the morning and evening. Since I bought the Scalp Elixir, I started using the Elixir in the evening and Minoxidil only in the morning. Ideally I want to stop Minoxidil, but what topical solution should I use in the morning instead? Or should I continue using Minoxidil in order to boost the efficacy, given I have not seen any results in 3 months? Hi Sodiq, it will be most useful if you join our Facebook group so you can get more help with your personal question. It’s hard for me to give a useful answer just from reading your short description. However this article may help: Itchy scalp and hair loss.